Forecasting conference organised by the IIF, the International Institute of Forecasting, in Santander, Spain. Possibly THE most relevant conference for NN forecasting - the 2005 conference attracted over 40 papers in 7 sessions, including a theoretical track, an application track and a forecasting competition. In 2006 there will again be a dedicated NN track - the CfP is due soon. 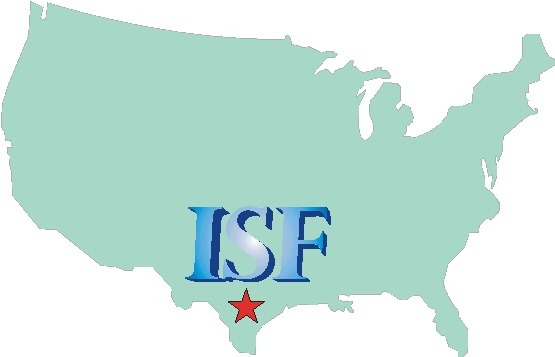 No conference proceedings are published, but selected papers are invited to the International Journal of Forecasting. 11.06.2006 14.06.2006 28.02.2006 (abstract) 27.03.2906 n.a. NN conference in Montreal, Canada, with specific CfP on Data Mining and Time Series Analysis. Highly ranked (4*, 2nd after NIPS) & well respected conference with large attendance & regularly over 1000 papers presented. The last NN Competition on Time Series Prediction - or CATS attracted 22 teams & different CI approaches. SAS's 9th Annual Data Mining Technology Conference - a corporate conference by SAS in Las Vegas! Featuring four keynote addresses and more than 30 session talks that reach across industries and business functions, M2006 is appropriate for anyone in business, academia, or education who would like to learn how to fully harness and exploit the power of their data. Don't miss this opportunity to network with colleagues from all over the world and get the most up-to-date information in the industry from data mining's top thought-leaders, visionaries and practitioners. 23.10.2005 24.06.2005 n.a. n.a. n.a. SAS's 8th Annual Data Mining Technology Conference - a corporate conference by SAS in Las Vegas! 24.10.2005 25.06.2005 n.a. n.a. n.a. "The Second International Symposium on Neural Networks (ISNN 2005) will be held in Chongqing in southwestern China, as a sequel of ISNN 2004 successfully held in Dalian, China. ISNN 2005 aims to provide a broad international forum for scientists, engineers, and educators working in the areas of neural networks to discuss state-of-the-art science and technologies, and their applications in diverse areas. The symposium will feature plenary speeches given by worldwide renowned scholars, regular sessions with broad coverage, and some special sessions focused on popular topics." The 9th International Conference on Engineering Applications of Neural Networks in Lille, France, offers a special CfP on Time Series Analysis. Data Mining conference organised by software vendor SPSS with the American Marketing Association. The 4th International Workshop on Computational Intelligence in Economics and Finance (CIEF'2005) will be held in conjunction with the 2005 JCIS Joint Conference on Information Science, including the 10th International Conference on Fuzzy Theory and Technology, 7th International Conference on Computational Intelligence and Natural Computing, 6th International Workshop on Frontiers in Evolutionary Algorithms, 6th International Conference on Computer Vision, Pattern Recognition and Image Processing, 6th International Symposium on Computational Biology and Genome Informatics, 4th International Workshop on Intelligent Multimedia Computing and Networking, 2nd International Workshop on Bio-Inspired Systems and Brain-Like Computer, 1st International Workshop on Data Mining, 1st International Symposium on Web Intelligence and Security, 2005, 1st International Workshop on E-Service Intelligence, all fields related to neural networks and of potential interest to forecasting. 12th Federal Forecasters Conference Washington, D.C.
IJCAI is the International Joint Conference on Artificial Intelligence, the main international gathering of researchers in AI. 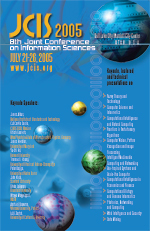 Held biennially in odd-numbered years since 1969, IJCAI is sponsored jointly by IJCAI and the national AI societie(s) of the host nation(s). The 16th European Conference on Artificial Intelligence (ECAI 2004) will be held in Valencia, Spain, on August 24 through 27, 2004. The conference will be hosted by the “Departamento de Sistemas Informáticos y Computación” (DSIC) of the Universidad Politècnica de Valencia. Neural Network Applications Special Track in cooperation with the American Association for Artificial Intelligence. The 12th European Symposium on Artificial Neural Networks is a major event for neural network researchers all over the world. Il will be held in Bruges, one of the most beautiful medieval towns in Europe. NIPS Foundation is a non-profit corporation whose purpose is to foster the exchange of research on neural information processing systems in their biological, technological, mathematical, and theoretical aspects. Neural information processing is a field which benefits from a combined view of biological, physical, mathematical, and computational sciences.